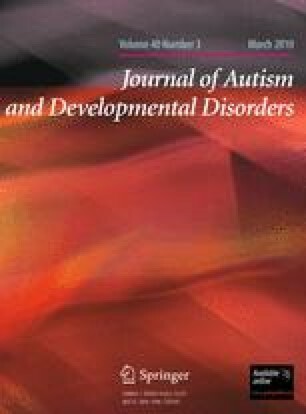 This study evaluated The Transporters, an animated series designed to enhance emotion comprehension in children with autism spectrum conditions (ASC). n = 20 children with ASC (aged 4–7) watched The Transporters everyday for 4 weeks. Participants were tested before and after intervention on emotional vocabulary and emotion recognition at three levels of generalization. Two matched control groups of children (ASC group, n = 18 and typically developing group, n = 18) were also assessed twice without any intervention. The intervention group improved significantly more than the clinical control group on all task levels, performing comparably to typical controls at Time 2. We conclude that using The Transporters significantly improves emotion recognition in children with ASC. Future research should evaluate the series’ effectiveness with lower-functioning individuals. This work was conducted in association with the NIHR CLAHRC and the NHS Foundation Trust for Cambridgeshire and Peterborough. This work was presented at the Royal Society, London, in January 2007, and at the International Meeting for Autism Research, Seattle, May 2007. The Transporters series was nominated for a BAFTA in the Children’s Awards Category, November 2007. We are grateful to Culture Online and the Department for Culture, Media and Sport (DCMS) for funding, and to Catalyst Ltd and Culture Online (particularly Claire Harcup, Paul Bason, Khairoun Abji and Jon Drori) for their production of the film. We are also indebted to the families who participated in the intervention. We also thank Gina Owens, Kimberly Peabody, Ben Weiner and Ayla Humphrey for valuable discussions. Baron-Cohen, S., Golan, O., Wheelwright, S. & Hill, J. J. (2004). Mind Reading: The interactive guide to emotions. London: Jessica Kingsley Limited. (www.jkp.com/mindreading).